However, we do see them on other parts of the body too. 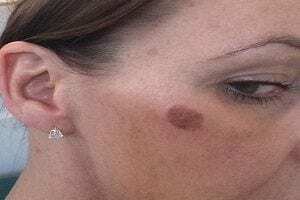 The liver spot is usually a benign growth. Meaning that it is not cancerous. However, our skin experts will confirm this during your skin consultation. And refer you to a Doctor if required. Who will then take a biopsy of the growth to determine what it is! Most liver spots are caused by over exposure to ultraviolet light exposure (UV). This is usually because of the sun or tanning beds. Who gets a liver spot? History of tanning bed use. What are liver spots often called? The medical term is ‘Solar Lentigo’. 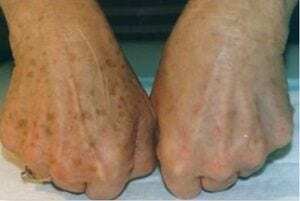 However, they are often referred to as brown spots or age spots. During your free skin consultation, our skin experts will tell you what to call them! Cryotherapy – Is a non-invasive, non-surgical procedure that removes skin imperfections. The procedure is immediately effective. With no downtime and minimal discomfort.